Macy’s Cyber Monday Sale!! 美妝, 保養品及香水(共9頁) 推出超多很棒的特價品, 特價up to 50% off. 免運費. 另外, 部分品牌還有滿額送贈品, 快去挑選!! 像是Estée Lauder 3-Pc. 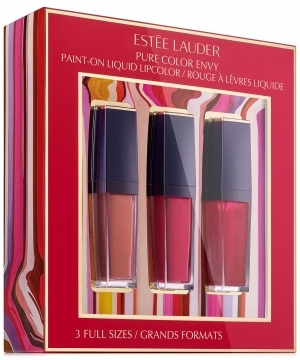 Pure Color Envy Paint-On Liquid Lip Color Gift Set 原價 $42, 特價 $28, 節省 $14(33% Off), 免運費!! « [Amazon折扣碼] 不銹鋼電熱水瓶, 不銹鋼保温水瓶, 精油擴香機, 乾濕兩用男士刮鬍刀 額外折扣!